One of the most iconic symbols in our Society, Lady Justice represents the equal treatment and punishment of the court system. 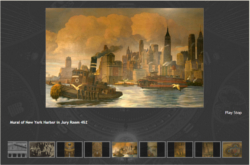 This slideshow features some of New York's most prominent depictions. This building, designed by renowned architect Guy Lowell, and opened in 1927, is one of the most recognizable courthouses in the country. Depicted in media ranging from Law & Order to 12 Angry Men, this beautiful building is what many think of when they think New York Courts. Since its creation in 1896, the Second Department of the Appellate Division, based in Brooklyn, has taken photographs of its bench. This collection illustrates a fascinating change in the dress, size and most importantly, composition, of the court over its 118 year existence. 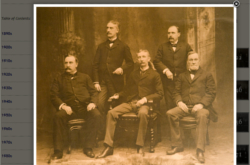 Curious about the role of the Society in preserving New York's legal history? 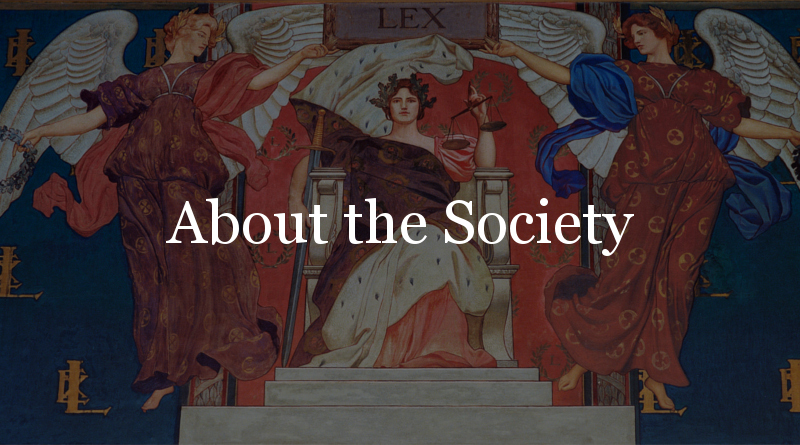 This video provides an overview of the Society's Mission. 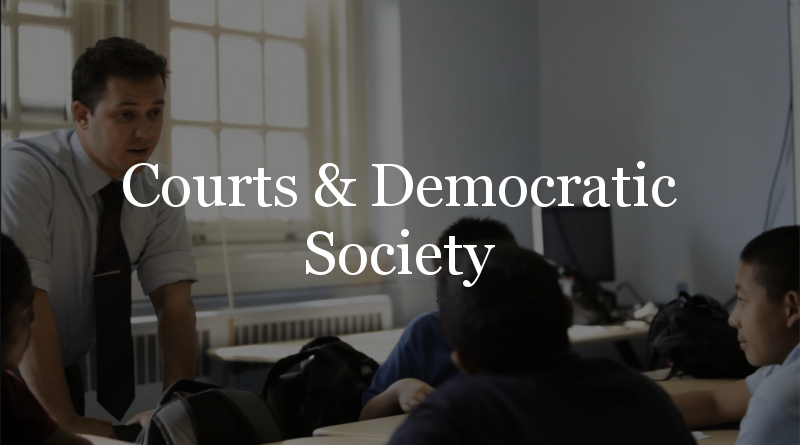 The Society has a longstanding relationship with Bard High School Early College (BHSEC), a public high school with campuses in Manhattan & Queens, through which it helps develop curricula centered on themes and topics of legal history. The Society regularly produces films documenting this work, showing the impact this work has on BHSEC's students! Society Trustees Roy Reardon and John Siffert, along with Education Committee Chair Troy McKenzie, visited George Jackson Academy on May 30th to hear presentations from a class of middle schoolers taking Dr. Julia Rose Kraut’s course "Civil Rights, Civil Liberties and the Empire State." The partnership with George Jackson Academy is made possible by a grant from the Society. 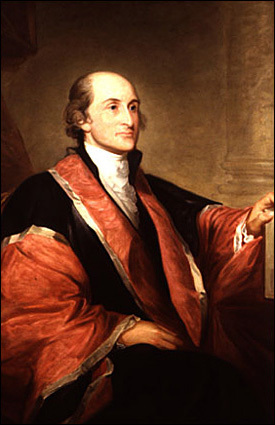 Dr. Kraut, who is the Society's inaugural Judith S. Kaye Teaching Fellow, designed the course to introduce students to the importance of the NY court system in establishing and maintaining democracy and our rights and liberties as citizens. In addition to its work with BHSEC, the Society also works with the school's after school program for middle school students, Bard Early College Academy (BECA). The Society worked with BHSEC educators to develop a unit for BECA focusing on the importance of the courts in our Society. 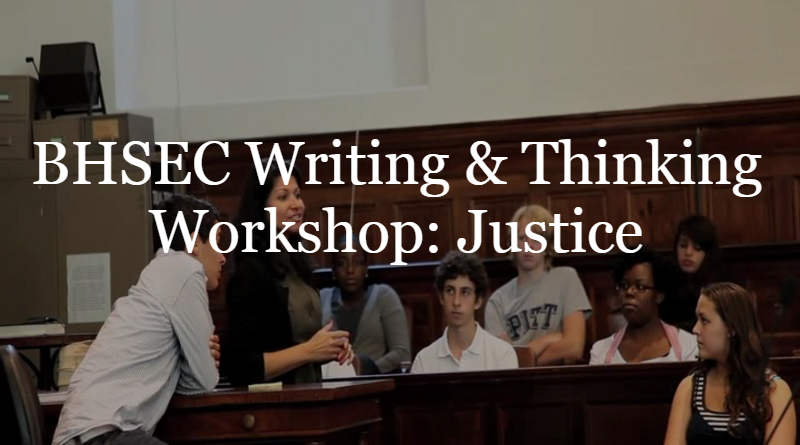 In 2010 the Society sponsored a week-long workshop on the theme of justice held to begin the school year at BHSEC's Manhattan campus. Students read and debated classic texts on the topic before visiting the New York County Courthouse to meet with judges and learn how trials actually take place. The Society also has an essay scholarship exclusively offered to CUNY and SUNY Community College students. Each year the topic changes, and the Society provides ample resources for students from which they can construct their arguments and write their essays. There are six prizes total, three for CUNY students and three for SUNY students. 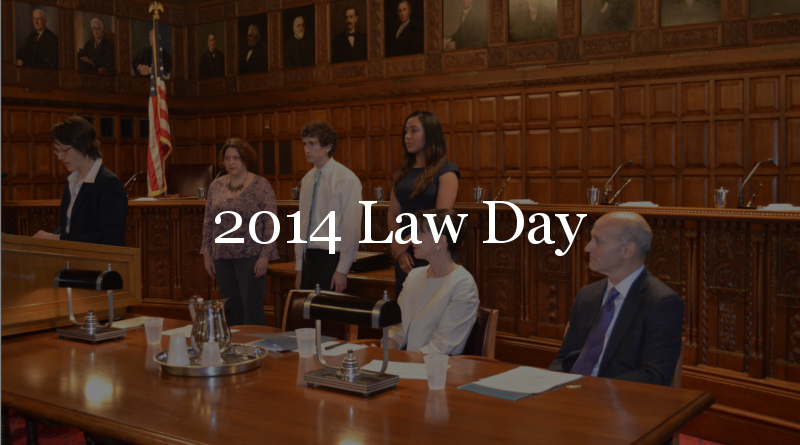 Every year the Society hosts the winners of the Garfinkel Essay Scholarship at the Court of Appeals' Law Day ceremonies, where their achievements are honored. In 2014 Judge Jenny Rivera presented the awards, including the Grand Prize to the Contest's first two-time winner, Zachary Field from Onondaga Community College. The Society's annual Gala honors significant figures and milestones in New York's legal history. Over the past four years the Society has produced films that honor and preserve this history. Hon. Randall T. Eng, Second Dept. Hon. Karen K. Peters, Third Dept. Hon. Gerald J. Whalen, Fourth Dept. The Society film brought together the four Presiding Justices in the chambers of Presiding Justice Randall Eng, a Society Trustee. Included were excerpts from their individual stories about their childhood backgrounds and roads to the bench drawn from longer oral histories filmed that day. The film continued with a roundtable discussion among the four, with inspiring remarks in conclusion. The Society brought together our new Chief Judge in conversation with her successor in a warm film that helped introduce her to the legal community. Both included deeply felt personal remembrances of their colleague, Former Chief Judge Judith S. Kaye. 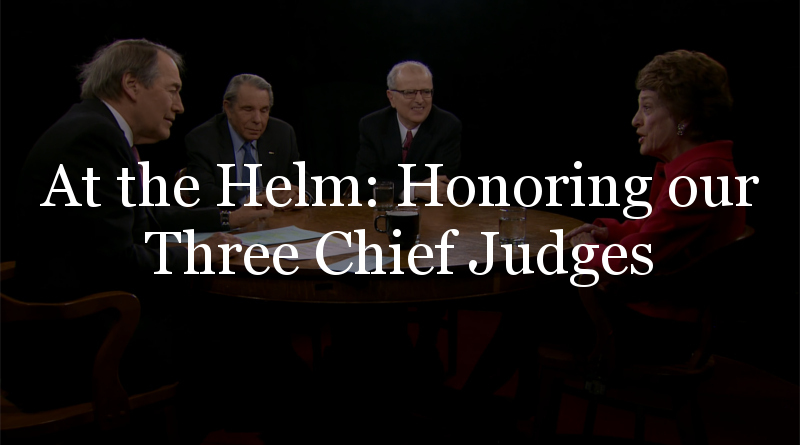 For this event honoring the State's three most recent Chief Judges: Jonathan Lippman, Judith S. Kaye and Sol Wachtler, we asked the Judges to sit down with Charlie Rose for a conversation on their lives, careers and judicial philosophy. 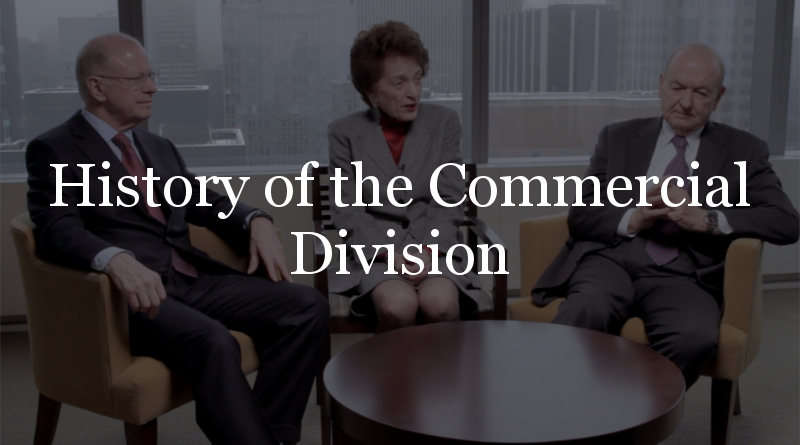 Featuring interviews with the men and women who guided the creation of the Commercial Division, this film provides insight into one of the most important developments in the recent history of the New York court system. 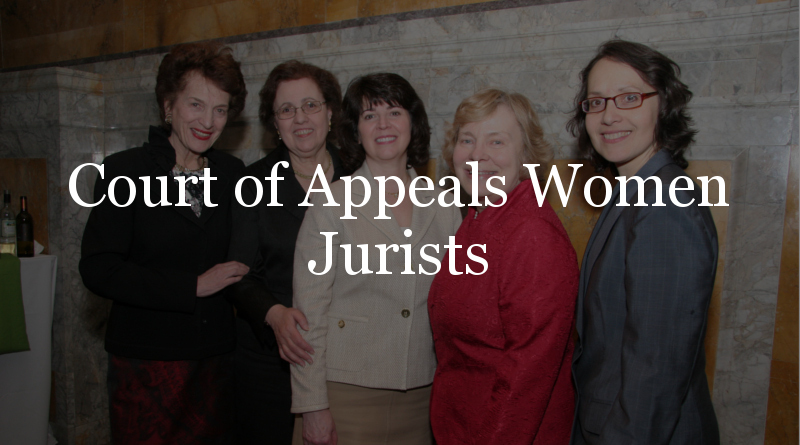 The 2013 Gala honored the five women judges of the Court of Appeals, and this film features insightful interviews with all five women. Spanning 30 years on the bench, their memories and insights provide a valuable look at the legal history of New York and into their personal histories as jurists. The Commercial Division handles complicated commercial cases as part of the Supreme Court of New York State. The following is an updated version of an acclaimed video about the Commercial Division with new footage of Chief Judge Janet DiFiore. It also features interviews with former Chief Judge — and the Division's creator — the late Judith S. Kaye and former Chief Judge Jonathan Lippman. This 30-minute documentary tells the story of women judges who helped paved the way for women entering the legal profession, specifically in the Third Judicial District in New York State. Judges recount examples of bias, discrimination and overall disrespect that they faced when they were building a career in the law. Ethan Travis, a talented film student at the College of St. Rose in Albany, recorded interviews with nine trailblazers and assisted the Gender Fairness Committee of the Third Judicial District, chaired by Hon. Rachel Kretser, in producing this program. It premiered at a continuing legal education program on March 31, 2017 in Albany, NY. Special thanks to the NY Courts for giving us access to this film. 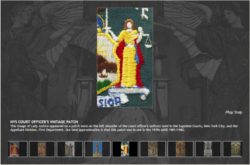 The Historical Society of the New York Courts proudly helped fund this project. This 40-minute video details the life and contributions of Franklin H. Williams, a renowned civil rights attorney, organizer of the Peace Corps and ambassador to Ghana whose living legacy is the Franklin H. Williams Judicial Commission. The Commission, within the NYS Unified Court System, works to ensure equal participation by people of all backgrounds. This documentary was conceived, developed scripted and brought to fruition by Joyce Y. Hartsfield, Executive Director of the Franklin H. Williams Judicial Commission, and John Caher, Senior Advisor for Strategic Communications, New York State Unified Court System. Enid Gort, Ph.D. served as project consultant. The project was funded primarily by the Unified Court System, with generous support from the New York State Bar Foundation and the Historical Society of the New York Courts. While we hope that everyone will be able to attend our public events and lectures, we know that this is not possible. So the Society takes care to record and make available online all of our public programs. Covering topics from Alexander Hamilton, to courthouse architecture, to music & copyright, these programs cover an amazingly diverse array of topics. The Society's program archive goes back to 2005 and we hope you will take the opportunity to explore its rich contents.